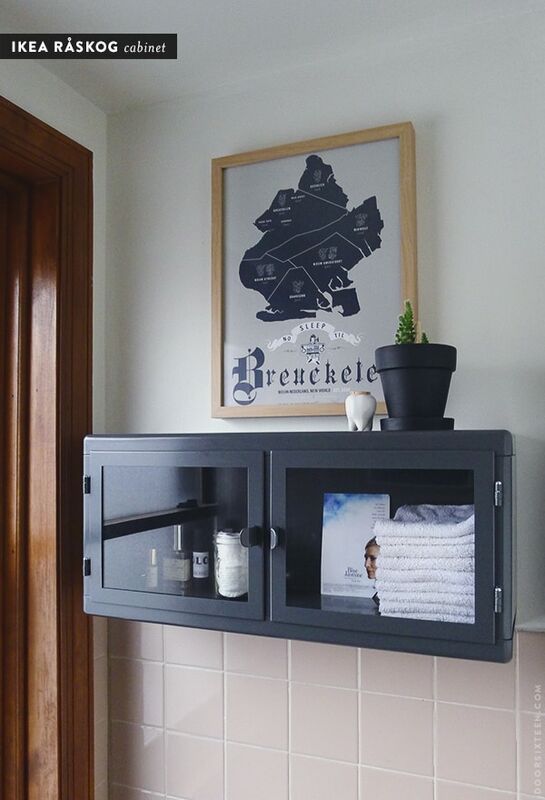 I’m still on a mission to get the apartment bathroom looking as not-awful as possible, and my latest effort is the RÅSKOG wall cabinet from IKEA. 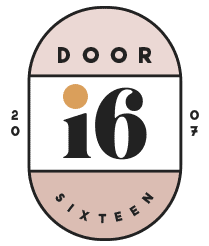 It’s made of solid steel with a charcoal gray finish and glass doors. At $69 the RÅSKOG is a little spendier than most things this size from IKEA, but I think the honest materials and good construction make it worth the money. Installation was really easy. Just two holes, two anchors and two screws. Plus, it fits perfectly into the nook above the toilet and it looks super cute! Of course I would have loved to find a vintage apothecary cabinet with just the right proportions for $5, but that’s not going to happen — especially not one that’s wall-mounted. If you have the space, I think two or three of these cabinets would look really nice hanging next to each other in a long hallway or along a kitchen wall. You could even mount them lower and have them function as a shallow fauxdenza! It’s a pretty versatile piece that could really work in any room. 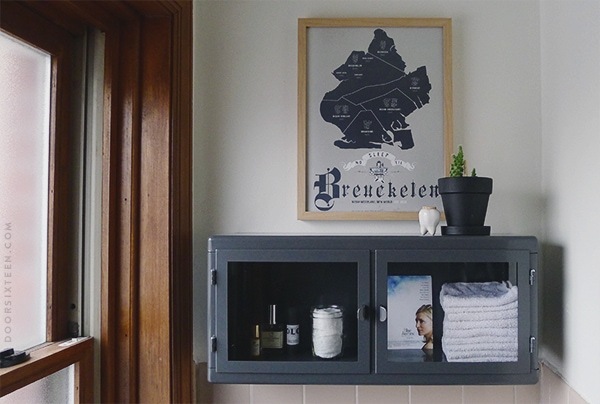 The print above the cabinet is from the fine folks at Pop Chart Lab (looks like they don’t sell it anymore, but they have so much other great stuff), the perfumes are from Cold Spring Apothecary and OLO Fragrance (my standby is Dark Wave), and the movie is from Woody Allen. But can we talk about that tooth? As I’ve mentioned before, I have a major thing for anthropomorphic teeth and tooth-related things in general. They make my skin crawl, but I can’t get enough! Evan bought me this sweet little corked ceramic tooth vessel for my birthday. 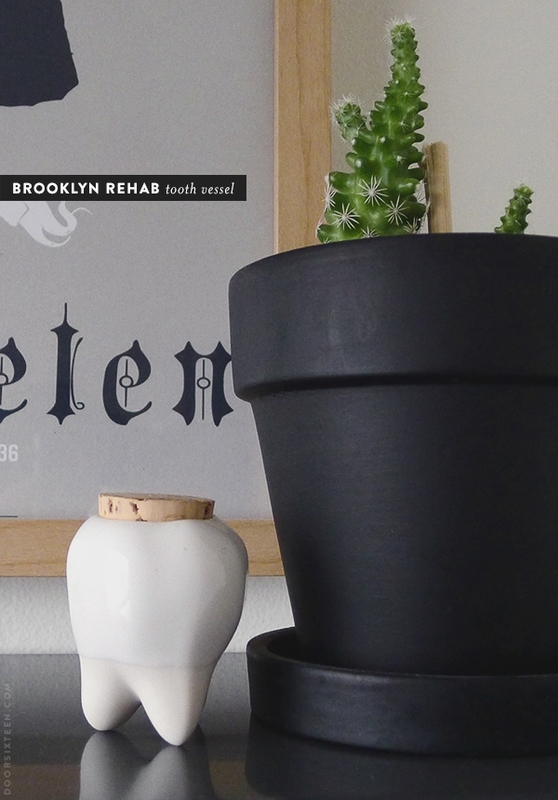 It’s made by Brooklynite Alyssa Zygmunt of Brooklyn Rehab. Alyssa’s Etsy shop is sold out of the teeth at the moment, but Evan picked mine up at By Brooklyn on Smith Street in Carroll Gardens. TOOF. ✚ The new apartment bathroom. ✚ Dealing with nasty grout & caulk in the apartment bathroom. Turning dead space into a functional entryway. ‘No Sleep Til Breuckelen’ is sold out? Oh no. 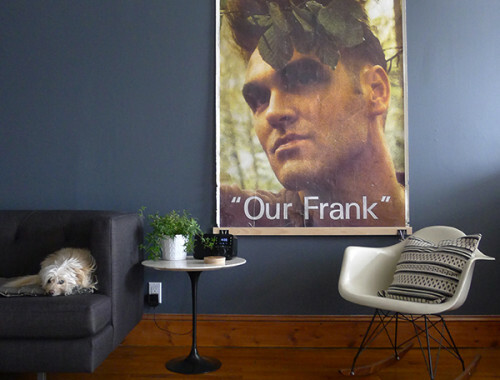 I hope it comes back on Fab–I was always going to get it for my VT office! The bathroom looks so not-awful it’s amazing; congrats. And, thanks to you, I can finally envision a couple of ways that the Raskog could be used (it’s really hard to imagine it in situ from the website, and our Canadian IKEA bizarrely doesn’t have a lot of its showroom devoted to bathrooms). It would be a super entryway cabinet, too (too bad I just splurged on a steel shelf from Room and Board). Where did you get that pot, may I ask? Did you spray paint it? If so, I’m on it just as soon as some of our snow melts. As if. Thanks, Anna! More expensive than paint, but probably way safer for the plants. Hey Anna, long time reader here. Have you seen the home section of Kate Spade Saturday lately? I think a lot of it is right up you alley. this cabinet is so pretty!!! i wish i had more room in my bathroom to put this cabinet, too! and that tooth is fantastic! this is a great cabinet for my office wash room, but you never mentioned the exact size of the cabinet. & it is available in only black color or any other color. John, it’s actually charcoal gray (not black) — if you visit the IKEA page linked to in the post, you can get the exact dimensions and weight limits and all of the other specs. 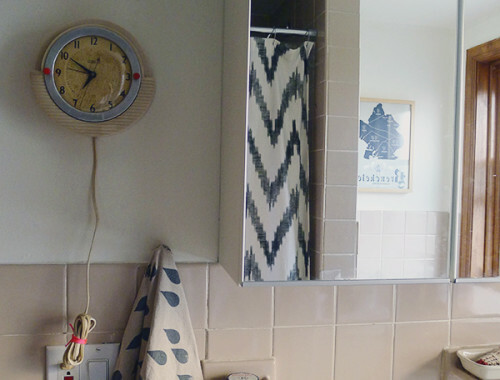 Alexis, I’m a big fan of pink mid-century bathrooms, as well as Pam’s site! I linked to it in my previous posts. I’d love to have the cabinet in my bathroom, but I think my walls won’t be able to hold them up. Are they very heavy? I think the IKEA site says 14 pounds — not too heavy! What are your walls made out of? I have a tooth toothbrush holder (from Propaganda)! I love teeth too. I also painted my wisdom teeth gold and framed them and now they’re in my baby’s room… either she will love teeth or be horrified of them as an adult! Haha. I saw this post on refinishing tiles , and thought of your beige/pink bathroom woes. Thanks, Tove! Tile refinishing is great if everything is stable and in good condition, but unfortunately this bathroom is kind of a mess. It really needs to be ripped out at some point…down to the studs. I know people who have had professional epoxy refinishers come in and spray everything white, and it looks great. In Brazilian culture you get your kids teeth capped in gold (the root part) so its pendant. I always thought it was a little weird…but then again, my mom also saved my belly button when it fell out. I’ve been thinking about this cabinet a lot…when my handy friend gets back from the holidaze im going to seek her assistance…my walls are rather questionable. this looks super fabulous. and the tooth is charming. love it, k2! I need one! Love a good Ikea find! I’ve had my eye on that cabinet for a while but unfortunately my local IKEA does not carry it. Going to have to make a road trip an hour away to see all the new things my IKEA doesn’t have. Haha, I just had my last wisdom tooth removed yesterday. Now I love teeth too! Anna, where did you get the frame for your Pop Chart Lab print? I have a few, but I have yet to find a blonde frame for them! I love the cabinet! I am also in a rental with a sketchy beige bathroom. The walks are covered in a floral paneling and the fixtures are all high gloss brass and oak. Ugh. I can’t wait until spring. I’m going to paint everything I can white. Ooh, that cabinet is going on my list! We’re getting our very first IKEA here this fall, and it is only 15 minutes from my house. I think I need more storage than that though (we only have a pedestal sink). I wonder what two would look like, spaced slightly apart, over the toilet. That violates my rule of threes, but three would just be too much I think. Your work on this bathroom gives me hope. Ours needs to be torn to the studs, too, but we don’t have the budget for that. This cabinet is just perfect for that spot! I’ve been dying to get the RASKOG shelf but the IKEA here doesn’t want to to carry it. :c Alas you’ve eased my woes because I think I like the little tooth even better! Thanks for sharing the link. Love your blog and I’ve tried digging through some old posts and FAQ’s but I can’t seem to find the answer – I believe you still rent your apartment in Brooklyn (commenting on what I think is the most recent post about it). If so, how did you go about communicating with your landlord (if at all) about the changes you were making to the apartment? I’d love to make some minor changes to my Boston apartment but don’t know how to go about getting permission. Did you have to do anything like that? Thanks so much for the blog! Hi Steph, nope, I’ve never checked with a landlord before fixing things in apartments I’ve rented. I’ve never done anything that either can’t be reversed (painting walls, etc.) 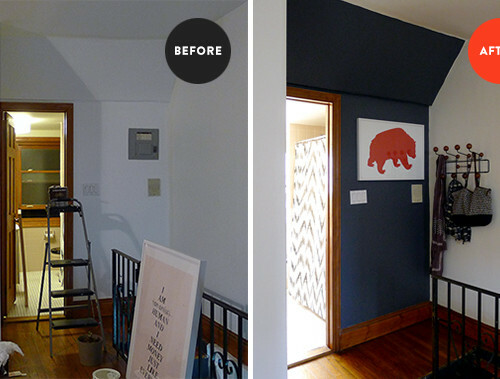 or isn’t an obvious improvement (like re-caulking a moldy bathtub). Thanks for the info and for replying. You rock!